Readers of the books of fiction featuring Little A, a boy living in the projects of Memphis, are instantly aware that the writer is eminently qualified to focus on this young hero. Only a person who has taught in the inner city schools is able to create a fictional, yet realistic account of the life of a youngster struggling to find himself in this environment. 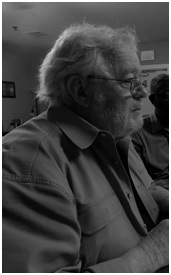 John Chipley, whom the boys fondly have dubbed Mr. Chip, taught in Memphis inner-city schools for over fifteen years. In retirement, he offers weekly volunteer sessions that focus on encouraging boys to read. This is a lofty goal, for the boys live in homes and neighborhood environments not structured to develop reading skills or dreams of career advancement. Mr. Chip’s goal surpasses development of reading ability to encourage the boys to enjoy this privilege. Chipley is formally prepared to teach, for he holds both Bachelor and Master of Education degrees. However, the most memorable aspect of his classroom presence is his heart. He cares deeply about each one of his students and is there for them both now and in the future. Through the persona of Little A, Chipley gives the boys a fictional character with whom they can identify. Little A’s life style echoes theirs. While reading this series of books, the boys witness someone they can relate to. Little A is a wonderful fictional character full of wisdom, character, adventure, and confidence.